But how you can climb a mountain unless you know it’s there? 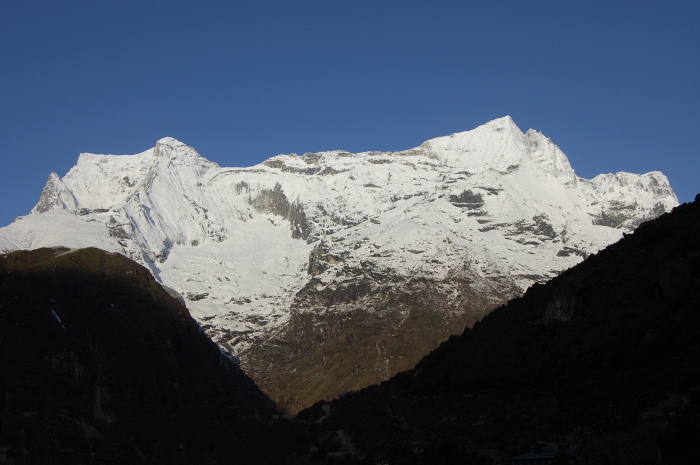 For years, Kanchenjunga on the Sikkim-Nepal border was believed to be the world’s tallest mountain. Though the quest to scale Mount Everest is fairly well documented, the attempts to locate and measure it are not so well known… Equally fascinating is the part a group of Indians played in this epic adventure. In 1802, the British started the Great Trigonometric Survey of India to determine the earth’s curvature by measuring the length of the country. The survey would also map out the world’s highest mountains. For measurements, Col. William Lambton used giant theodolites, precision instruments that weighed 500 kg and took 12 men to carry! Lt. George Everest, appointed as assistant to Lambton in 1818, succeeded him as Surveyor-General of India (1830-43). Starting from South India, the surveyors slowly worked their way up north taking three decades to reach the foothills of the Himalayas. Wary of Britain’s imperialist designs, Nepal refused to give them access and the British continued their observations from the Terai region on the Nepal-Bihar border. Since Nepal and Tibet were closed to foreigners, the British employed several natives in this enterprise. Syed Mir Mohsin Husain, an Arcot-born watchmaker from Madras joined in 1824 as an instrument repairer and eventually became chief mathematical instrument maker. Nain Singh Rawat of Kumaon entered Tibet disguised as a Lama and carried out secret surveys for nearly 2 years. Aided by Mani Singh and Kishen Singh, the Pundit brothers surveyed the Tibet mountains extensively. To avoid suspicion, these ‘spy explorers’ went disguised as monks or traders using ingenious methods. Measurements were coded as written prayers. These scrolls were hidden in the cylinder of the prayer wheel while a compass was stored in the lid. The topmost part of the monk’s staff hid a thermometer while secret pockets and false bottoms in provisions chests held surveying instruments. Mercury, used to create an artificial horizon, was kept in cowrie shells and was poured into the begging bowl whenever it had to be used. 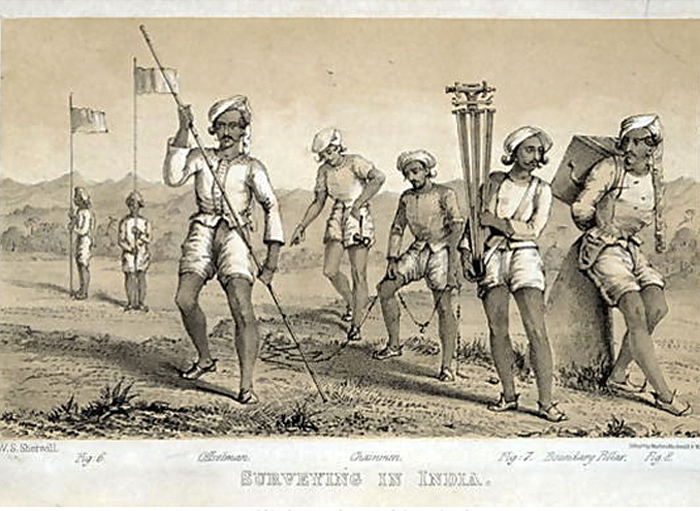 They were trained to take equal-paced steps and record distances using a modified Buddhist rosary with 100 beads instead of the standard 108. For every 100 steps they would count one bead, so a full rosary count represented 10,000 steps. Since each step was 31 ½ inches, a mile was roughly 2,000 steps. Thus, Nain Singh became the first person to determine the exact location and altitude of Lhasa, mapped the trade route from Nepal to Tibet and the course of the Tsangpo River. Aiding the British was a battery of astute Bengali mathematicians led by Radhanath Sikdar, who joined the survey in the 1830s as a 19-year-old maths wunderkind and computor. 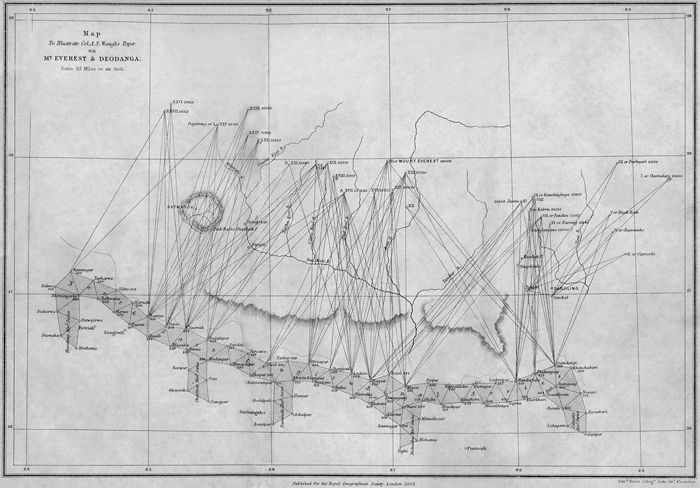 In 1852 Sikdar informed the British Surveyor General of India Andrew Waugh that Peak XV was the highest point in the region and perhaps the world. After making sure, in 1856 Waugh recorded the first published height of Peak XV as 29,002 ft (8,840 m). After the First World War and the Anglo-Afghan Wars, the British once again turned their attention to their original conquest – the world’s highest mountain. Access was either from Tibet to the north or through Nepal from the south, but both Himalayan countries were hostile to outsiders. It was only through high-level diplomacy and an appeal to Thubten Gyatso, the 13th Dalai Lama that the British finally secured permission to visit Tibet in 1921. The first British Reconnaissance Expedition, organized by the Mount Everest Committee, explored routes up the North Col and produced the first accurate maps of the region. George Mallory was a part of this recce and returned in 1922 for the first true attempt. Man scaled a height above 8000m for the first time. During the 1924 British Mount Everest Expedition, Mallory and his young climbing partner Oxford student Andrew Irvine, disappeared high on the North-East ridge, just 800 vertical feet from the summit. Mallory’s fate was unknown for 75 years, until his body was discovered in 1999 by an expedition to locate the climbers’ remains. Whether Mallory was able to summit Everest, decades before Hillary’s ascent, remained the world’s biggest mountaineering mystery. 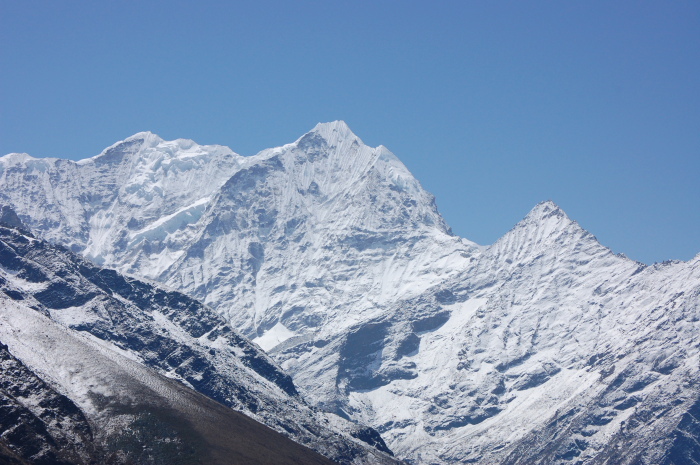 Subsequent attempts of Everest saw some of the biggest names of the British climbing fraternity – Hugh Ruttledge, who did a parikrama of Mount Kailash with his wife (the first Western woman to do so), Frank Smythe, who discovered Valley of Flowers on the Kamet expedition and Eric Shipton-Bill Tillman, the first to gain access to Nanda Devi Sanctuary. Shipton also gave a 19-year-old porter from Darjeeling his first Everest opportunity because of his attractive smile. 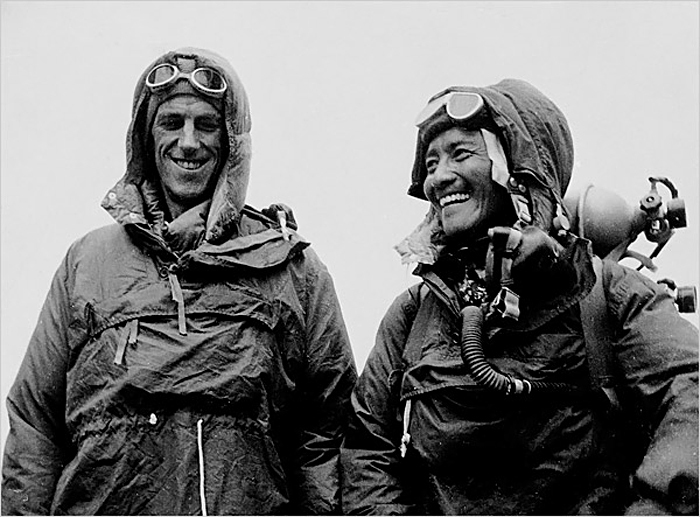 His name was Tenzing Norgay. The story of British eccentric Maurice Wilson is even more bizarre. A decorated World War I soldier, he got the idea of scaling Everest after reading newspaper clips of British expeditions and the Houston-Everest Flight while recovering at Black Forest. Magically cured of his long illness by a healer, Wilson was convinced that fasting and prayer were essential to his success, which would showcase his mystic beliefs to the world. He believed climbing Everest was his divine calling, “the job I’ve been given to do”. His plan, if it can be called one, was to fly a small plane to Tibet, crash-land it on the upper slopes of Everest and amble across to the summit. Flying solo halfway across the world was a challenging task, let alone a solo ascent of Everest, a feat achieved only in 1980. Wilson was neither an aviator nor a mountaineer, so he decided to take a crash course, literally. 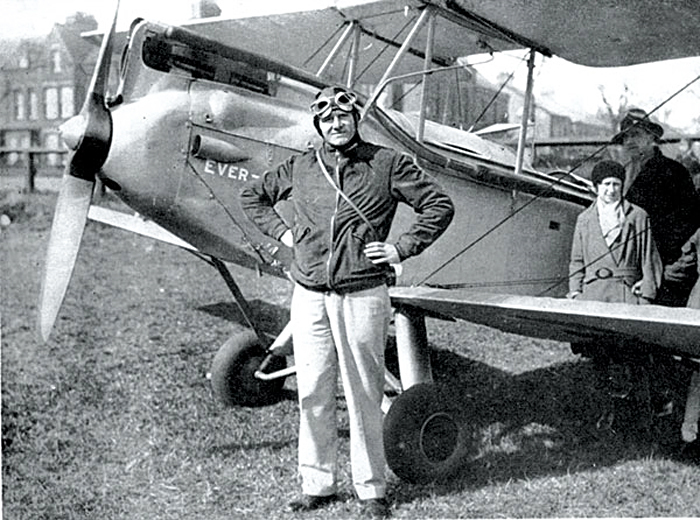 He bought a Gipsy Moth, christened it ‘Ever Wrest’, took twice the time to get a pilot’s licence and crash-landed near Bradford. He earned a flying ban from the Air Ministry even before his expedition began. For climbing skills, rather than learning technical aspects like using an ice axe and crampons, he walked about the moderate hills of Snowdonia for five weeks, before declaring himself ready. In May 1933, Wilson managed to fly illegally from Britain to India via Cairo, Bahrain and Persia but his plane was impounded at Purnea. He spent the winter fasting and praying in Darjeeling, where he providentially met three Sherpas from the 1933 Ruttledge expedition. In March 1934, they slipped into Tibet disguised as Lamas and reached Rongbuk monastery. 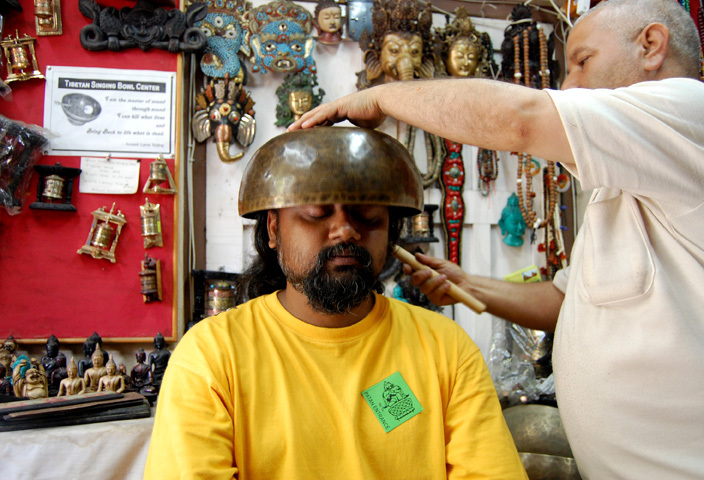 As per the grand plan, Wilson was to transport himself to the summit using his spiritual prowess and would signal the success of his mission to the monks with a shaving mirror. Maurice Wilson’s body and diary were found wrapped in a tent by a British expedition in 1935. In 1953, the British launched their ninth expedition under John Hunt. With the French securing permission to climb in 1954 and the Swiss in 1955, the British would get another shot only in 1956. It was now or never. The first climbing pair of Charles Evans and Tom Bourdillon achieved the first ascent of the 8,750 m (28,700 ft) South Summit and stopped 100 m short of the final summit because of faulty oxygen equipment and lack of time. Two days later, on May 29, 1953 New Zealander Edmund Hillary and Tenzing Norgay made the second and final assault. Climbing the South Col route, they negotiated a 40 ft rock face (later named Hillary Step) and summited at 11:30 am. They spent 15 minutes to click photos and bury sweets as an offering to the mountain before descending. In John Hunt’s The Ascent of Everest Edmund Hillary notes, “My initial feelings were of relief – relief that there were no more steps to cut, no more ridges to traverse and no more humps to tantalize us with hopes of success… we shook hands and then Tenzng threw his arm around my shoulders and we thumped each other on the back until we were almost breathless.” Times reporter James Morris descended from 22,000 feet to send a coded message through a runner, who walked 20 miles to get to the nearest radio at Namche Bazaar. The message was sent using the bicycle-powered radio station in Morse code to the Indian and British embassies in Kathmandu. A wireless transmitter relayed the news to London, just in time for the coronation of Queen Elizabeth II in the morning. 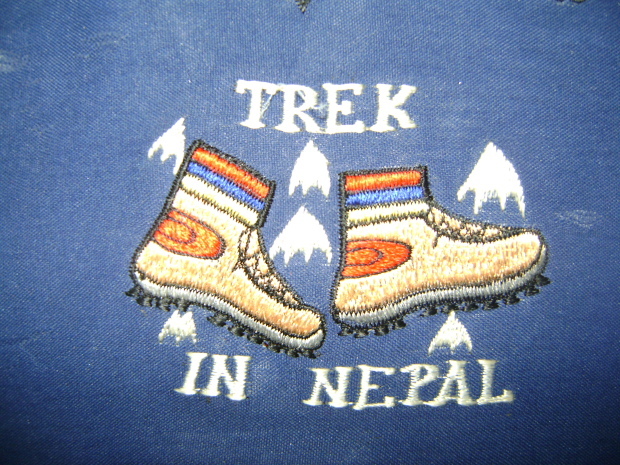 The Everest conquest was perhaps the last major news delivered to the world through runner. In the years that followed, others conquered the peak. The Swiss expedition succeeded in 1956. 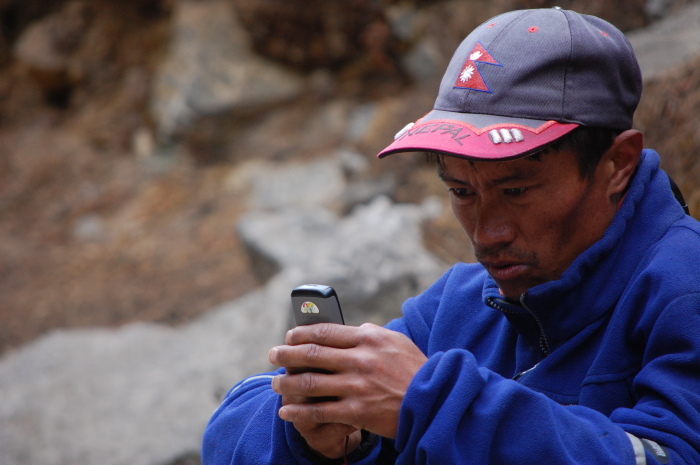 Tenzing Norgay’s nephew Nawang Gombu became the first person to reach the summit twice. He went as part of an American expedition in 1963 and the 1965 Indian expedition, the third attempt after two failed missions. Led by Lieutenant Commander MS Kohli, nine of 21-man Indian contingent scaled the summit, India becoming the fourth country to do so. Captain Avtar Singh Cheema was the first Indian on Everest. In 1966 the Nepal government banned climbing in the Nepal Himalayas and when it reopened in 1969, the Japanese were the first to leave a mark. They weren’t the first father-son duo to climb Everest. Befittingly that record rests with Sir Edmund and Peter Hillary who achieved the feat in 1990. In May 2002, Peter returned with Tenzing Norgay’s son Jamling as part of a National Geographic Society expedition to mark the 50th anniversary of the first ascent by their fathers. 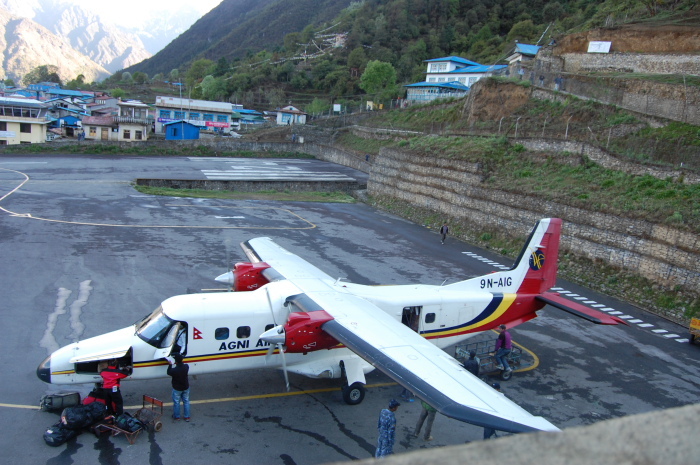 Lukla, counted among the most dangerous airports in the world, was renamed in 2008 after Tenzing-Hillary who helped develop it. People start their climb to Mount Everest Base Camp from Lukla, taking two days to reach Namche Bazaar, the gateway to the high Himalayas. In the last 60 years over 3,000 people from 20 countries have climbed the Everest with nearly 5654 ascents and 219 casualties. Most who reach the summit die on their descent, usually in the Death Zone or heights of over 8000m. For every ten successful ascents there’s one death, but armed with better equipment, technology and knowhow, climbers are now making it to the top with relative safety. 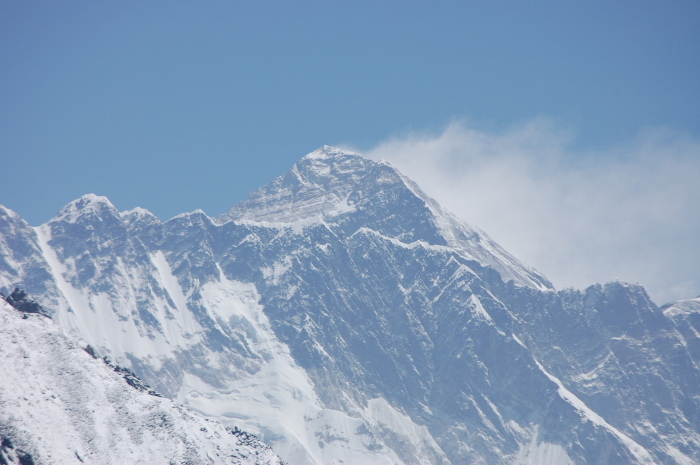 On one day alone in 2012, 234 climbers reached the peak. Such unprecedented access has raised concerns of over-commercialization, garbage disposal, climbing protocol and environmental impact. This year the 60th anniversary of the first ascent was celebrated in Nepal with high-altitude marathons, a clean-up operation at Everest Base Camp and colourful processions in Kathmandu featuring Kanchha Sherpa, one of the last surviving members of the 1953 expedition and mountaineer Reinhold Messner, the first to climb Everest without oxygen, the first to do it solo and also the first to scale all the 14 eight-thousanders in the world. Meanwhile, records continue to tumble – this year alone saw Phurba Tashi equaling Apa Sherpa’s record for most summits (21 times), Arunima Sinha becoming the first female amputee to scale Everest and the world’s highest BASE jump. Russian extreme sports legend Valery Rozov flew off Everest’s north face from 23,680 ft. Besides climbing feats, Everest has hosted the world’s highest concert, the first 3G call, first descent by paraglider and among other things, the world’s highest fight at 23,000 ft, with an ugly brawl between Western climbers and sherpas in May 2013. High-altitude mountain guide Adrian Ballinger summed up the incident well. “The constant pressure to break records, attempt new routes, and be the strongest, whether for personal pride, sponsors, future job offers, or media, can cloud the purity of our climbing here. And these pressures can lead to disagreements, arguments, and hurt feelings. But none of these pressures should be allowed to lead to violence, or to breaking the essential bonds that tie climbers to each other”. Climbing Mount Everest is an expensive proposition. The permit alone costs $10,000 to $25,000 per person, depending on the team’s size. Climbing gear can cost US$8,000 and bottled oxygen adds around $3,000. 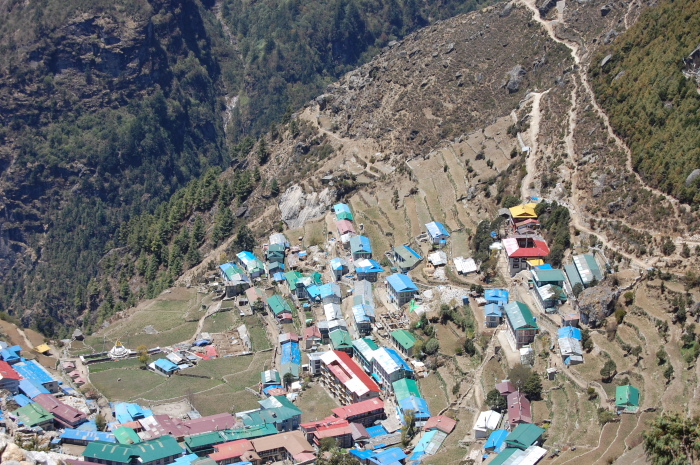 Transferring equipment from the airport to the base camp, 100 km from Kathmandu, can add $2,000. Authors: Anurag Mallick & Priya Ganapathy. This article appeared on 21 July 2013 in Sunday Herald as a cover story to celebrate 60 years of the first ascent of Everest. Located in the terai lowlands of South Central Nepal, Chitwan is Nepal’s oldest national park. Accessible from Bharatpur Airport nearby, the nodal town of Sauraha offers a choice of wildlife lodges like Baghmara and Maruni, restaurants and tour operators who organize a range of experiences. 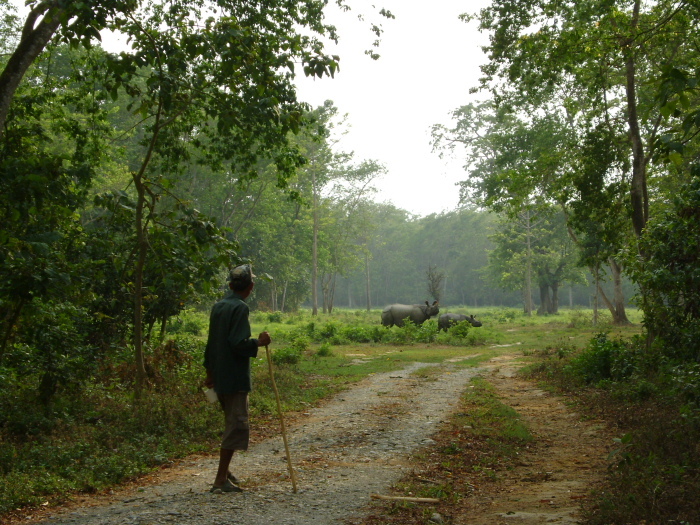 Elephant safari, boat rides, cultural dance of the local Tharu community or walks into the forest to see rhinos on foot. A word of advice, rhinos don’t like the colour white so dress appropriately! For centuries pilgrims undertook an arduous 5-hr trek to the hilltop shrine of Manakamana Devi, appeasing the wish-fulfilling goddess by sacrificing chickens, pigeons and goats. But Nepal’s only cable car ride, introduced in 1998 changed all that. 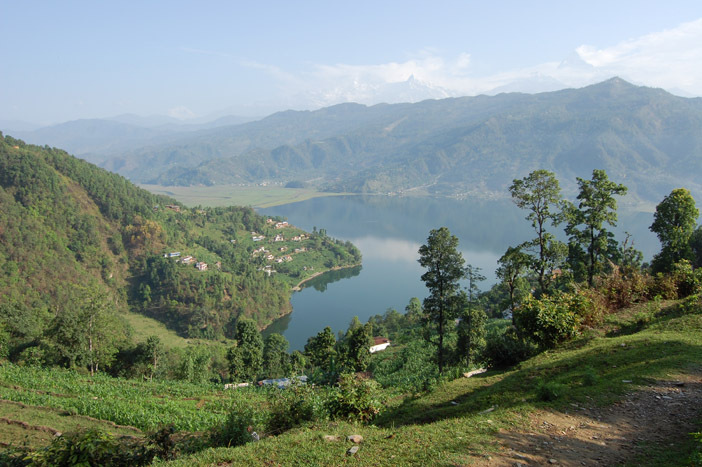 About 105 km west of Kathmandu on the Pokhara highway near Mugling is Kurintar, the starting point. 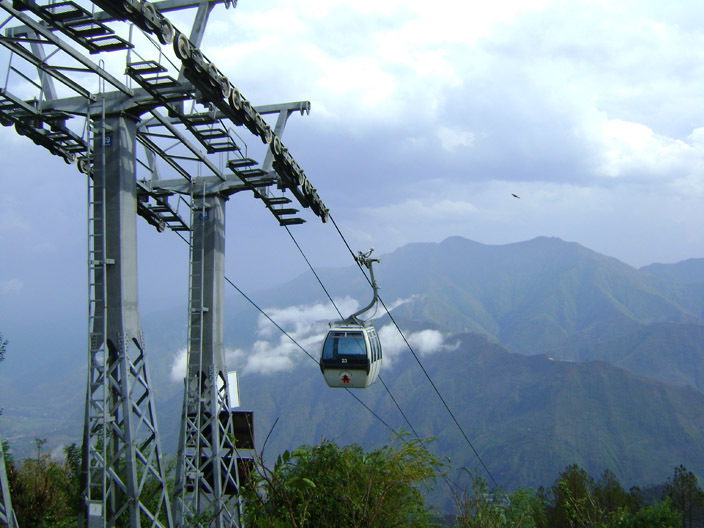 The magical 3km cable car ride climbs from 258m to 1302m in 10 minutes, presenting views of Trisuli and Marshyangdi river valleys. On wintry mornings the ridge juts like an island through the sea of mist. Thirty cable cars ferry 6 people each time, besides a special carriage dedicated for sacrificial goats! Walk the Middle Path on a Buddhist Circuit Tour through Nepal’s terai region while staying at Buddha Maya Garden in Lumbini. See the sal tree under which Maya Devi rested, the marker stone in a brick enclosure indicating Siddhartha’s place of birth in 623 BC and the Pushkarni (sacred tank) where Maya Devi gave the newborn his first bath. Don’t miss the Eternal Peace Flame and World Peace Bell in the Sacred Garden, and monasteries of Myanmar, Thailand, Sri Lanka, Japan and Mongolia in the International Monastic Zone. Germany’s Great Drigung Kagyud Lotus Stupa, Vietnamese Phat Quoc Tu temple and Chinese Zhong Hua temple are stunning, as is the Japanese World Peace Pagoda. 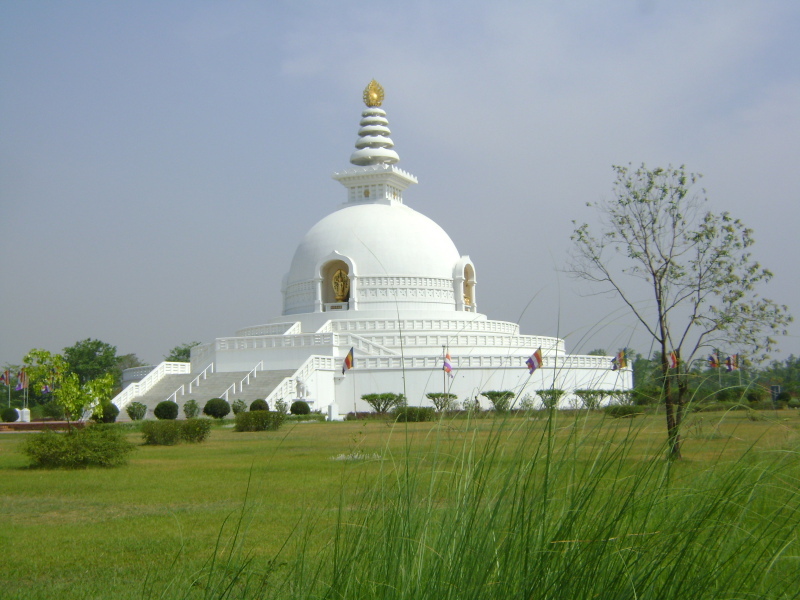 Kapilavastu, the ancient capital of Lord Buddha’s father Shakya king Shuddhodhana, is a short drive away. From baph mah mah (buffalo momo) to street food like sekuwa (barbecued goat meat), kachila (spiced mincemeat) and choila (char grilled buffalo meat), Nepal’s cuisine is quite varied. Eat the staple dal-bhat-tarkari (lentil, rice, vegetables) or chyura (beaten rice) in the numerous bhancha ghars (local eateries). Feast on Newari cuisine popular in Kathmandu, Bhaktapur and Patan, try a Thakali thali, a mix of Himalayan and lowland cuisines in Pokhara or Bandipur and relish the fish fry at Dolalghat. Wash it all down with raksi, the fiery rice liquor or Oranjeboom. 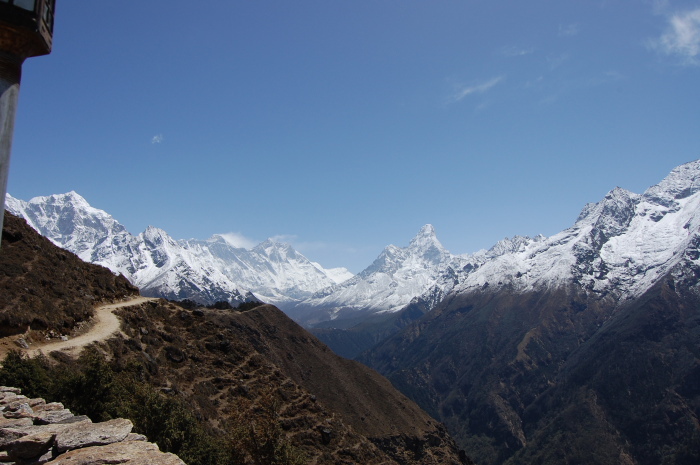 If the drive to Lukla and a climb to Everest Base Camp seem daunting, take a shortcut. 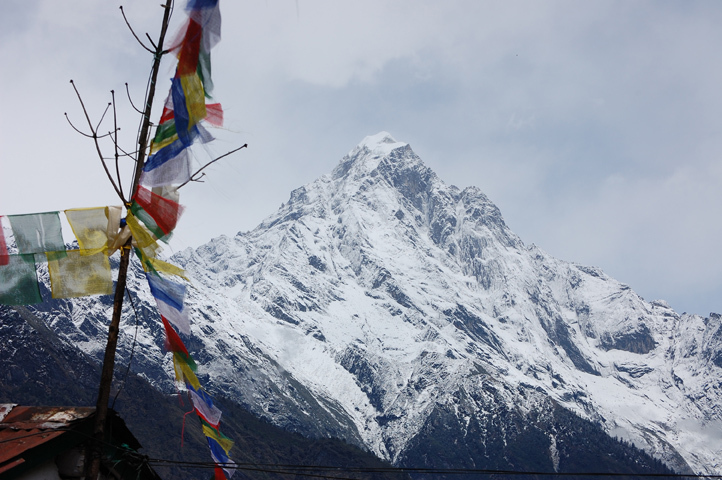 The 1hr mountain flight from Kathmandu is the quickest way to see the magnificent peaks of the Himalayas. Marvel at Mount Everest (8848m), Shisha Pangma (8027m) and Cho Oyu (8201m) at dawn. Local flight operators like Agni, Buddha, Guna and Yeti offer the Everest Experience for just over Rs.5,000 for Indians and US$ 176 for other nationalities. Feb-April and Oct-Nov is the best time for visibility with clear blue skies. If Pokhra is passé or too long a drive, try the mountainous charms of Nepal’s other destinations. Stay at Peaceful Cottage in Nagarkot while enjoying great sunrise views. 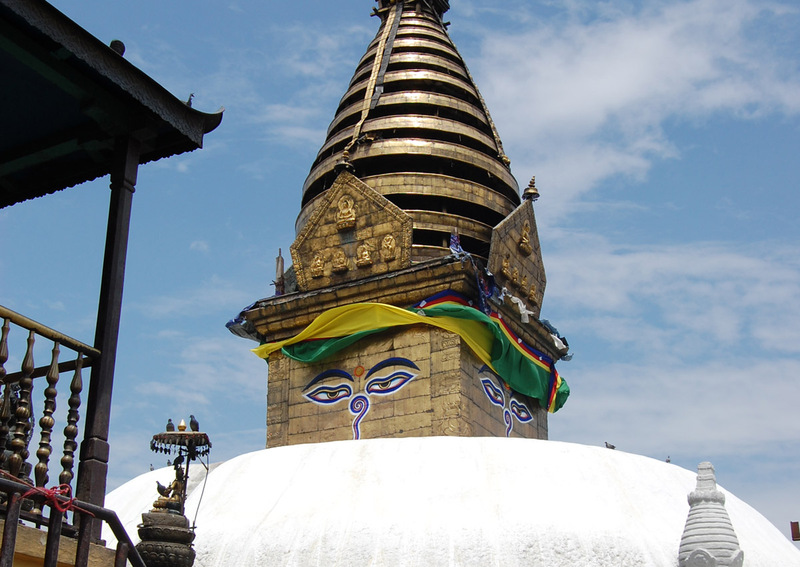 Visit the Changu Museum at the historic shrine of Changu Narayan. Get a taste of the old at Gaun Ghar and The Old Inn in the quaint village of Bandipur or luxuriate at Dwarika’s Himalayan Shangri-La Village Resort in Dhulikhel, overlooking 20 peaks like Annapurna (8091 m), Ganesh Himal (7429 m), Langtang (7234 m), Lhotse (8516 m) and Gauri Shankar (7134 m). Authors: Anurag Mallick & Priya Ganapathy. This article appeared on 7 September 2012 in Conde Nast Traveller online. It wasn’t exactly the most auspicious start. Amidst news of a coup and a bird flu epidemic, we landed at Kathmandu Airport, where a flurry of masked attendants with drips and stretchers waved official forms in red, blue and green. The bleak sky offered the perfect welcome and we cursed ourselves for not bringing any rain gear. By the end of the 6 weeks we spent in Nepal, we were chiding ourselves for a dozen other things. Like diving off Jumping Rock into the river and being bailed out by a kayak, barely surviving a toss from a raft in Nepal’s most challenging river, barfing like sick puppies after a heavy breakfast while paragliding over Pokhara, bungee jumping from a 160 m high suspension bridge and the world’s highest canyon swing, getting stranded in a cable car mid-air at Manokamana Devi and escaping a sudden landslide near Mugling. 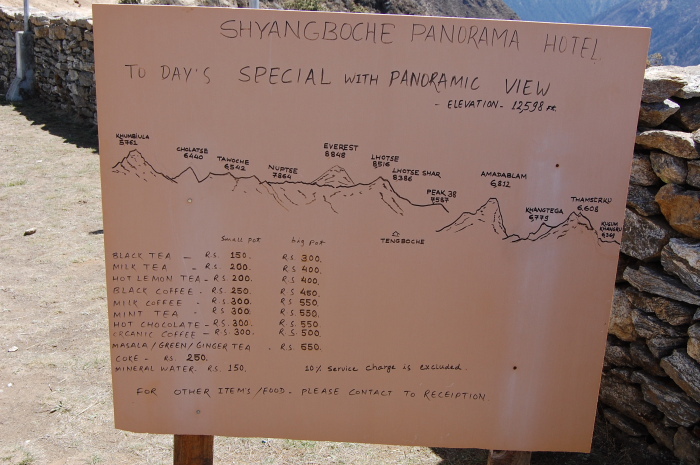 Our journey was in many regards a survivor’s guide to Nepal. At a small café in Thamel, Megh Ale of Ultimate Descent stared pensively at our seemingly unfit bodies. ‘Have you rafted before? Can you swim?’ Perhaps he secretly hoped our blubber would help us stay afloat. ‘Umm… sure, but not very elegantly.’ Intrigued by the pamphlet about the Bhote Kosi being “the most exciting thing you can do in Nepal without risking a social disease”, we convinced him we’d be in time for the 6 am mini-van. Luckily it was a short hop from our hotel, the iconic Kathmandu Guest House. The evening was well-spent pub-hopping, souvenir hunting and sampling traditional Newari cuisine at Thamel House. The next morning we said goodbye to ‘THAMEL: To Homely Atmosphere & More Enjoyable Living’ and headed for Barabise, a 3 hr drive to the Nepal-Tibet border, 100 km away. As we passed Dhulikhel, the Langthang peak and the lofty Ganesh Himal range loomed on the horizon. After tea at Jiro Kilo and fish fry at Dolalghat, we climbed steadily. 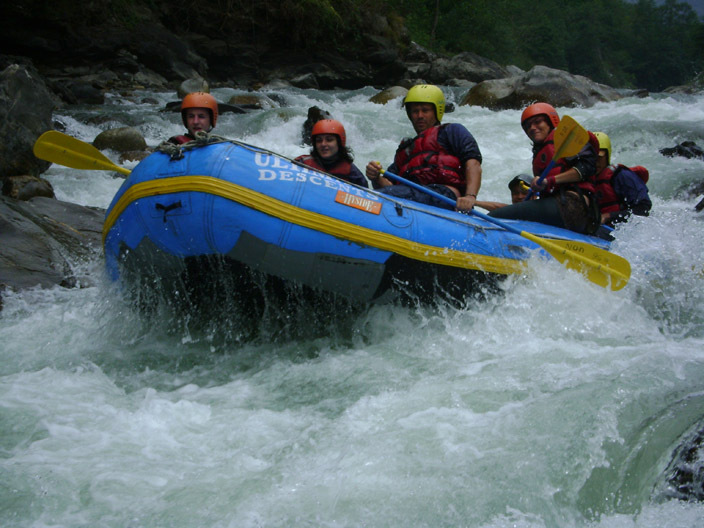 On seeing the angry white rapids below, several alarmed voices asked in unison ‘Are we going to be in THERE?’ Our rafting guide smiled sagely. The glacial waters of the Bhote Kosi descend from the tenth highest mountain Shisa Pangma in Tibet to create the steepest river in Nepal. This was a river that had wiped out entire villages in the plains of North Bihar. We wondered what it would do to us in its own hilly backyard. The van swung into Borderlands and we were ushered into a large thatched dining area with low seating. A row of tents peeped out of the foliage and the crash of the river constantly reminded us why we were there. Prem Dai, our adventure expert outlined the program – 2 days of canyoning or abseiling down waterfalls followed by 2 days of rafting. After a crash course in knots, harnesses and basic techniques, we donned our wet suits and set off to conquer the nearest khola (mountain stream). Day 1 was a beginner’s course at Golung Khola aka 95 (located 95 km from Kathmandu), a tough climb that pitted us against eight levels of 5-20 m drops. Finding our footing against the slippery rock face and overhangs was tricky but soon we caught on. Some sections ended in deep pools and our guides encouraged us to jump in before we reached the base. Day 2 was a five-level obstacle course at Kabre Khola that involved sliding, jumping and abseiling down torrential chasms of up to 45 m! As each candidate leaned out to glance at the final descent, a gasp of ‘Oh…My…God’ inadvertently escaped his lips! A relentless jet of water battered our helmets, blinded our eyes and deafened our ears as every muscle ached to get back on solid ground. The next day was designated for whitewater rafting. We drove to our put-in point just below the Sun Kosi dam. Rafts were inflated and after a riverside lunch, we went through paddling instructions and safety manoeuvres. Ideal for beginners, this stretch had Class III-IV rapids and the half-day trip was largely uneventful, except for the Jumping Rock misadventure. On Day 2 the waters of the Upper Bhote Kosi had swollen with the previous night’s rain. With jittery nerves and jelly knees we awaited our turn. No amount of psyching oneself could silence the alarm bells clanging within. As we were strapped up, the video guy joked ‘Any last words?’ And we thought he was there to document our plunge! Like in a screen test, we displayed a wide range of emotions – fear, excitement, anxiety, nonchalance, hysteria. But it all ended the same way – a series of long guttural screams accompanying each jump. In comparison, the Canyon Swing offered a different thrill. After 8 seconds of free-fall, you oscillated like a giant pendulum in a wide 240 m arc, yodeling like Tarzan. Suspended over the Bhote Kosi, we clutched at the bamboo pole extended to us and scrambled to the riverbank for the long trudge to the top. 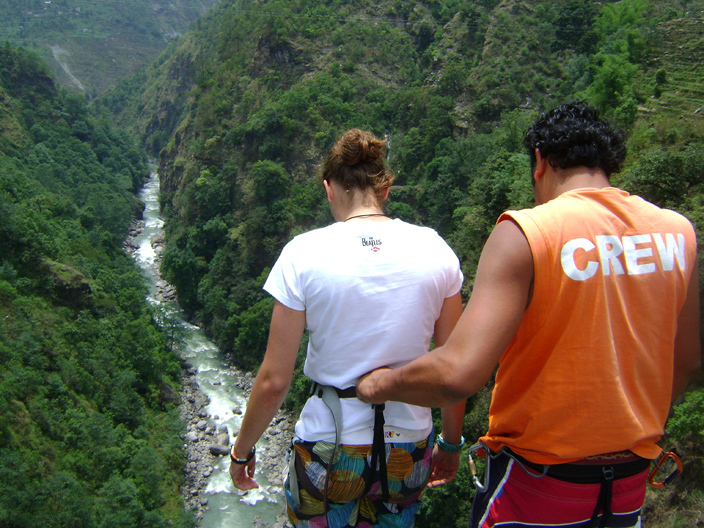 We skipped the High Ropes obstacle course, but the adrenalin rush propelled us to go higher to the Tibetan border. A constant bustle of traders and tourists headed for Lhasa and Mansarovar, Kodari was a typical border town. We were warned not to take pictures, especially near the Friendship Bridge. It was clearly a misnomer. Chinese agents tried to pass off as Nepalis but their icy glare and stony expressions gave them away. However, we had perfected the ‘ditsy Indian couple on honeymoon’ routine to perfection. 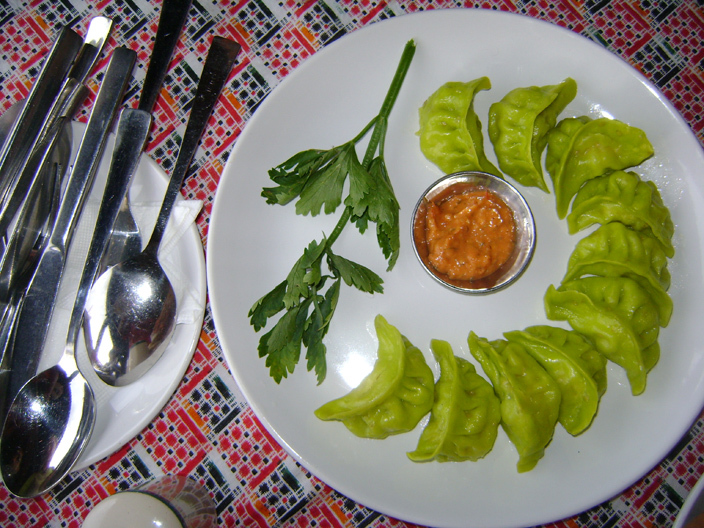 A shaky snap, a quick snack of baph mah mah (buffalo momo) and we soon returned to the comforting warmth of Kathmandu. After a night at Dwarika’s Heritage hotel, we boarded a rattling flight to Pokhra to see if we could survive paragliding. The friendly staff at Shangri-La Resort put us on to Blue Sky, the best in the business. Sarangkot, the sunrise point was the ideal perch as we waited patiently for warm currents to kick in. Strapped to the chute for a tandem flight, the instructor asked us to start running and literally jump off the mountainside. It was going great until we were stumped by the trick question ‘You want some ‘woo woo’ stuff?’ A sharp left made us regret our decision immediately. The chutes hit the pockets of warm air and climbed instead of descending. It was like zig-zagging through invisible traffic. We didn’t crash into Phewa Lake as feared but eventually had the gentlest of landings on the water’s edge. 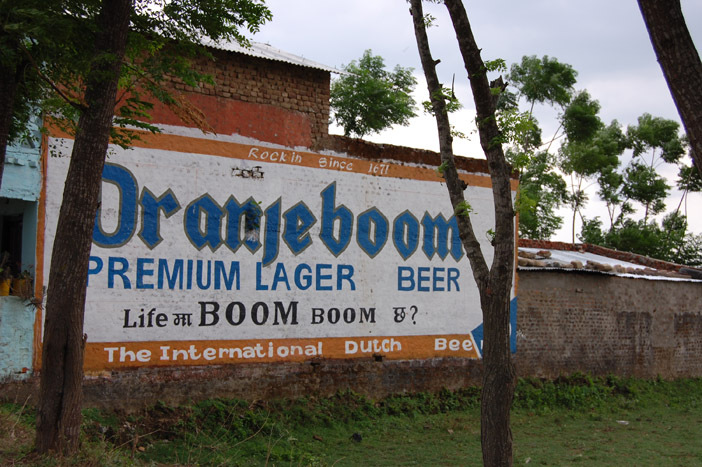 As we unstrapped ourselves, our eyes traveled to a large hand-painted ad for Orangeboom beer. ‘Life ma boom boom chha?’ asked the tagline. We smiled weakly. Jet Airways runs regular flights to Kathmandu from Delhi and Calcutta. 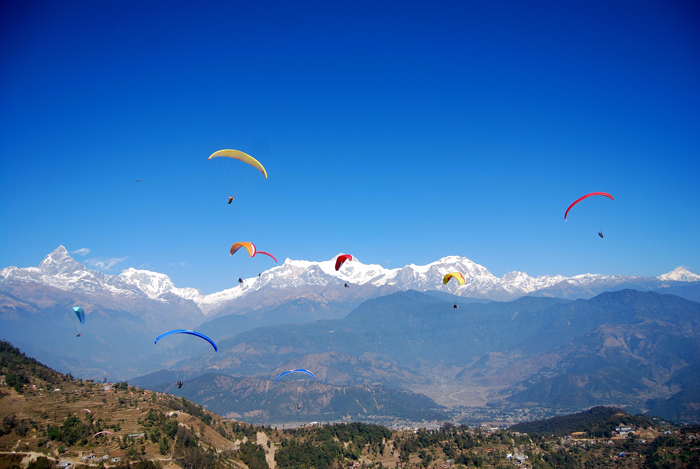 From there, smaller flights connect you to Pokhara, Bharatpur (Chitwan) and other destinations in Nepal. Authors: Anurag Mallick & Priya Ganapathy. This article appeared in the February, 2011 issue of JetWings International magazine.